The only certain way to prevent hangover symptoms is to not drink any alcohol at all. If you do plan to drink, however, there are steps that you can take to reduce your chances of getting a hangover. Most of the unpleasant symptoms experienced during a hangover are caused by alcohol's diuretic effects, causing the body to become dehydrated, and the toxins that are produced as the liver metabolizes alcohol. With a little planning, the effect of these processes can be greatly reduced. The best cure for a hangover is to not get one in the first place. Here are some tips for preventing a hangover. If a person does not drink to the point of intoxication, the chance of getting a hangover is practically nil. 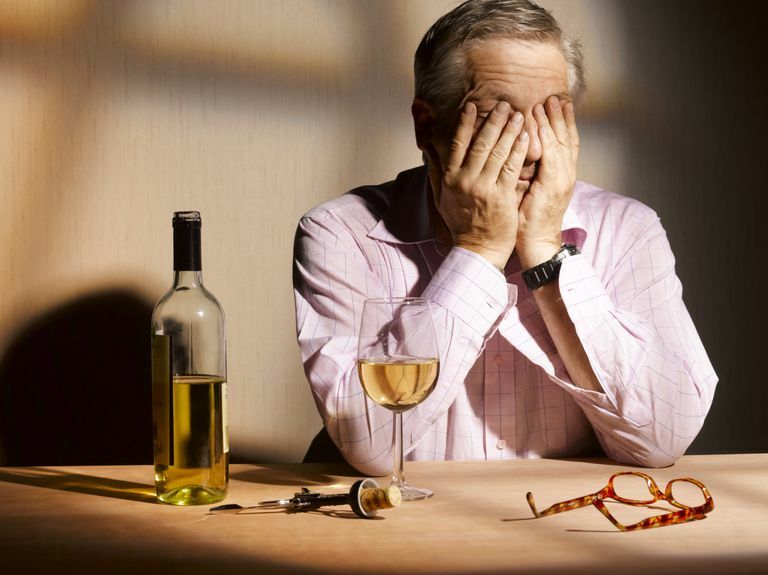 Although there are exceptions, only people who drink to excess will experience hangover symptoms. Because dehydration is one of the main causes of hangover symptoms, drinking water along with alcoholic beverages can prevent those symptoms. Drinking a glass of water before you start drinking alcohol, alternated with alcohol beverages during the evening and before going to bed will go a long way toward relieving hangover discomfort. Eating any food prior to a bout of drinking will slow the absorption of alcohol into the body. Eating fatty or greasy foods, in particular, will help coat the lining of the stomach and slow absorption. In some cultures, people will take a spoonful of olive oil prior to drinking to slow down the absorption process. The chances of getting a hangover can be reduced by drinking alcoholic beverages that contain fewer congeners. Congeners are chemical byproducts made during fermentation that contribute to the taste, smell, and appearance of the beverage. Pure alcohol drinks, such as vodka or gin, contain few congeners, while drinks such as whiskey, brandy, and red wine contain more. There are many over-the-counter products that are marketed as hangover "cures." The ones that contain ​activated charcoal claim to work as a toxin filter in the body and may have some effect on reducing hangover symptoms if they are taken prior to drinking. Because most of these remedies are supposed to be taken several times over the course of the evening, each time with a full glass of water, it may be the water that has the actual preventive qualities. If you drink any alcohol at all you can experience some negative effects the next morning. Generally, the more you drink the greater the chance of experiencing more severe hangover symptoms. If you drink moderate amounts or alternate during the evening between water and alcoholic beverages, you can reduce alcohol's dehydration and toxic effects and reduce many of the unpleasant symptoms of a hangover. What If You Did Nothing? OK, you ignored all the advice. You did not eat anything before you started drinking, you did not drink moderately, and you did not avoid congeners. It is now time to hit the sack, and you know that you are going to pay the price in the morning. What do you do at this point? Drink water. Even at this stage of the process, if you can drink as much water as you can before hitting the pillow, you can significantly reduce the hangover effects caused by dehydration. You may not avoid all of the unpleasant effects, but you will certainly be better off than if you do not drink any water before you sleep. National Institute on Alcohol Abuse and Alcoholism. "Alcohol Hangover - Mechanisms and Mediators (PDF)." 14 Jan. 2002. Are There Such Things as Hangover Cures? Should You Drink Low Alcohol Beer or Alcohol Free Beverages?